We have had the most incredible amount of rain so far this summer. 135mm since mid November. Days without sunshine but well worth it. The garden is looking incredible. 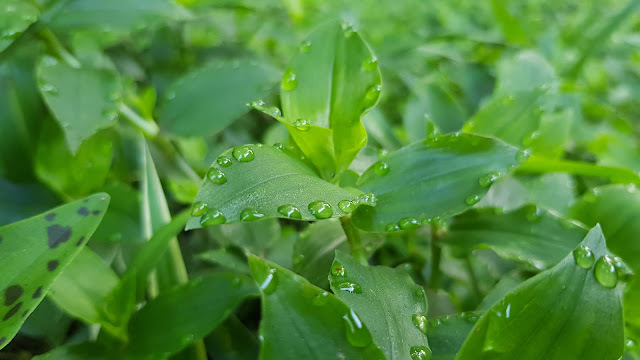 I an amazed how the droplets gather on some leaves and seem to hold their shape forever.